A cancer patient suffering from Hodgkin’s Lymphoma in Gwalior was successful in persuading the Supreme Court bench of justices Ranjan Gogoi and Navin Sinha to direct the BSNL on March 30, to deactivate, within seven days, its mobile tower located near his residence at Dal Bazaar, Lashkar, which he alleged, was responsible for causing his disease through radiation. The patient, Harish Chand Tiwari, a domestic servant, had filed the writ petition last year, seeking uniform guidelines across the country for installation and monitoring of mobile towers. He also sought immediate removal of the BSNL’s mobile tower near his residence, and compensation in terms of money and lifetime treatment from BSNL. Tiwari’s petition was being heard, along with other petitions filed by Dr.Naresh Chand Gupta and Bhupesh Segal, which also seek prohibition of installation of cell towers in the vicinity of residential areas, hospitals, schools, wildlife and other sensitive areas. Tiwari alleged that the BSNL installed the cell phone tower within fifty meters of his residence in Gwalior, without obtaining any permission from the Gwalior Municipal Corporation and without adhering to any law governing its installation. Tiwari further alleged that the multiple antenna tower installed on the roof top of the adjoining building of one Padam Gupta is overhanging the garden of his residence, and its radiation has been hitting his house area 24/7 for the past 13 years, exposing the occupants, to harmful electromagnetic radiation. “Given the fact that radiation is directed sideways slant, the risk of exposure is far more to the people living adjacent to the towers than those living below it”, Tiwari stated in his petition. Tiwari’s employer pursued the matter with the neighbour, but in vain. Tiwari pointed out that there are studies which have conclusively established ill effects of mobile tower radiation on bees, birds, rats and plants, and therefore, the findings may be true for human beings. Tiwari argued that if there is no conclusive evidence to show adverse health effects of electromagnetic radiation emitted from cell phone towers, there is no conclusive study to show that such radiation is safe for humans. Tiwari thus suggested that it has become imperative to tread with caution and address the issue based on Precautionary Principle. Tiwari alleged that the respondents including the Central Government, have ignored the Precautionary Principle, in their endeavour to achieve the goal of making India, a country with the highest teledensity in the world. However laudable this goal may be, it cannot be at the cost of human welfare and well being, which is the paramount right enshrined under Article 21 of the Constitution, Tiwari contended. 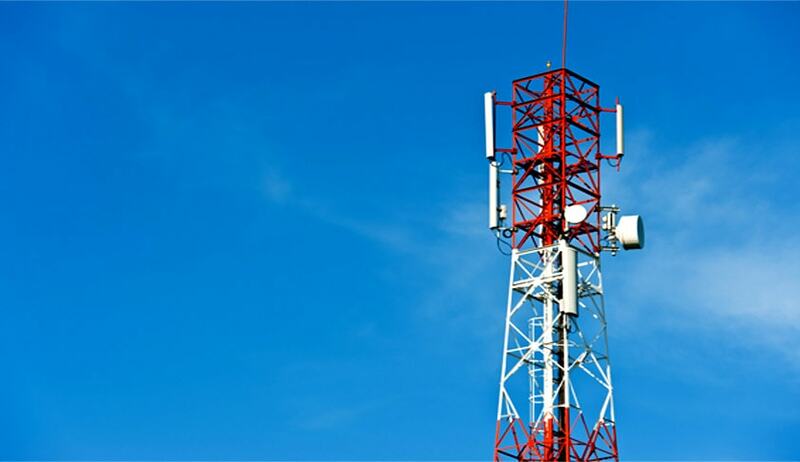 Tiwari has further alleged that more than 50 per cent mobile towers in the country are illegal, without following the statutory prescribed limits of radiation.